Home ♦ Coffee ♦ Should We Give Up In-Room Hotel Coffee? Should We Give Up In-Room Hotel Coffee? When I wake up in the morning, one of the first things I want is a cup of coffee. At home, this usually isn’t a problem because my kitchen contains several different coffee-making options to satisfy my cravings. When I travel, getting coffee isn’t always so easy. Most hotel rooms still have small travel size coffee makers as a convenience for groggy travelers who don’t want to get fully dressed and head out in search of a cup of coffee moments after they wake up. The more expensive hotels tend not to have this convenience, forcing you to traipse down to the lobby, call room service or head out to a coffee shop to pick up a cup. At Forbes, the question of if we should give up in-room hotel coffee is raised. They say yes for a number of reasons, the biggest of which is that in-room hotel coffee isn’t usually very good. Does this mean that we should encourage hotels to dump the in-room coffee? 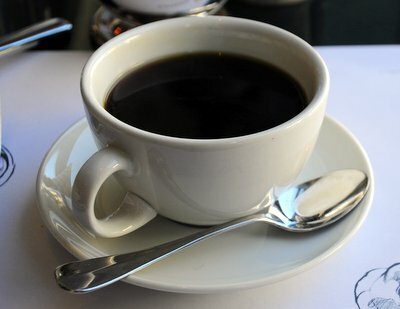 I completely agree that in-room coffee is rarely more than average, but I still want it in the room even though I know that I can get better coffee elsewhere. As a traveler, I don’t always know where I can get a good cup of coffee. I’ve had plenty of coffee in hotel lobbies and restaurants that was just as bad (if not worse) than what I could brew in the room. And as someone who travels for business, I sometimes want to do work in the morning before I leave my room – without having to leave to search for a coffee shop. Three blocks (just a random distance) doesn’t seem far unless you’re in a strange city in winter and don’t have any coffee. I may be a bit of a coffee snob, but I’m not about to pick up hotel based on the quality of their coffee or their proximity to a great coffee shop. The truth is, if there is coffee in a hotel room, I’m much happier than if there isn’t any coffee in a hotel room. And that one little thing can make me happier about a stay in a budget hotel than I might otherwise be. I know that those budget hotels aren’t going to install fancy coffee bars (although they might get a Nespresso machine) in their lobbies. I’m always pleased when the hotel takes the extra step of bringing in a good brand (even for their K-cups) and provided bottled water. I’ll drink that hotel coffee when I’m up doing work at 5 am in my pajamas – and I’ll try to get better coffee when I’m good and ready to leave the room.